There is a video that’s been making rounds on my social feed and every time I see it shared, my heart cries. Actually, more like it screams and yells and stomps its feet. The video, which has been shared over 1 million times, shows an ‘experiment’ of a mother breastfeeding vs. a woman with a revealing shirt. What the video shows is that several people take the time out to stop and shame the nursing mother, two different people calling her and the act ‘disgusting’. And 2- I need to share this so everyone else can see how nursing mamas feel. …then I paused for a second. I watched the video again, and yet again (adding to the viral status). And it started to dawn on me, there was no way these people were for real. The more I watched it, the more I was sure… These passerbyes were all actors. I couldn’t believe I didn’t notice it the first time since the acting is really terrible. Maybe it was the blurred out faces that made me believe it was real. All at once, my faith in humanity was restored. People really aren’t like that. 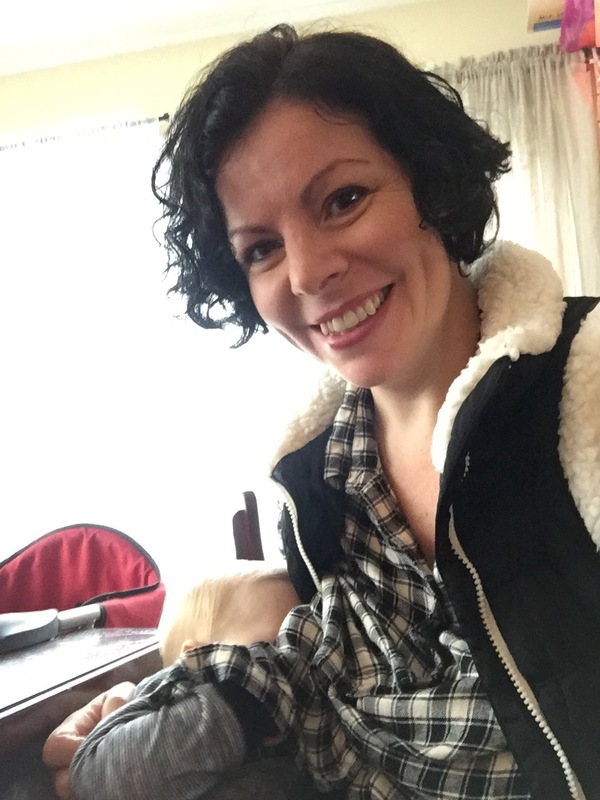 Are there people that feel like breastfeeding should be done behind closed doors? Absolutely. Are there people that will verbalize that to a nursing mother? Yes, maybe. But these people are very few and far between. They reserve their real feelings for comment threads on Facebook; protected behind a screen… Rarely does someone approach a mother and say something, let alone say she’s disgusting. So why am I asking you to stop sharing it? New mamas are sometimes fragile and impressionable. They are just figuring everything out for the first time. The last thing they need to see is a video depicting a false representation of our society. I’m not saying we are where we need to be yet as far as nursing in public. People need to be exposed to it more. What I am saying is we are not in a place where every person walking by has something to say. I don’t want a mother to watch this and get nervous that she will be treated that way when baby needs to eat in a public place. What will happen is she will feel like she will need to get up and feed her baby in a bathroom, in a car, or worse, not even go outside to begin with. This is fine if this is where mom prefers to nurse her baby but most mothers prefer to feed the baby when their baby is hungry, wherever that baby is. So please… Stop sharing that video! Instead, start taking the steps towards normalizing breastfeeding. Share good information as it comes to you and always support a new mother in her effort to nurse in public. If you happen to be a new mother reading this, nurse on rockstar! If you are in need of support, contact your local La Leche League chapter and attend a meeting. There is a circle of women ready to welcome you in with warm arms.